In February 2019, the Adventure Travel Trade Association (ATTA) entered a partnership with ISPO, the world’s leading sports network. This partnership opens up new opportunities for retailers and manufacturers in the sporting/outdoor/adventure goods industry as well as for suppliers, service providers, and destination tourism boards in the adventure travel sector. But what exactly is ISPO, and how can ATTA members best take advantage of this partnership? 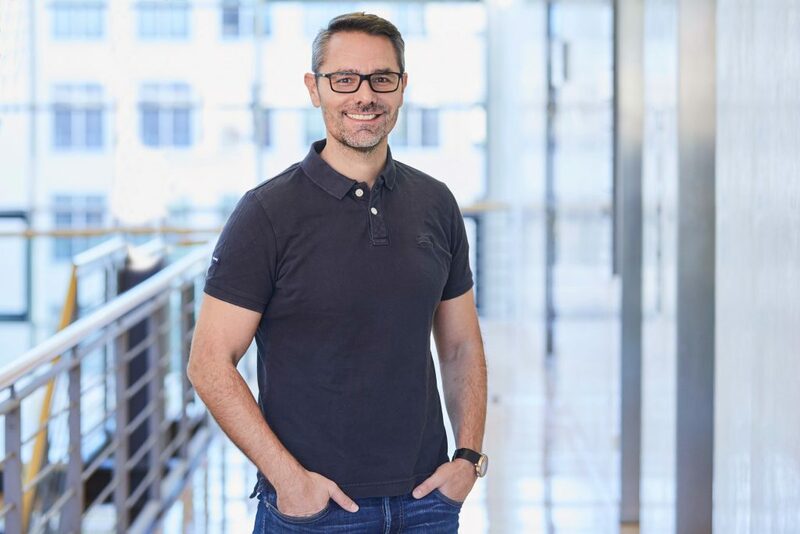 Tobias Gröber, executive director of the business unit consumer goods at Messe München and head of the ISPO Group, provides a bit more context about this partnership. ATTA: What is ISPO, and what should ATTA members know about it? Gröber: ISPO is the world’s leading sports network for business professionals and consumer experts. The platform was launched in 1970 and brings together an integrated range of industry-related analogue and cross-media services under the ISPO family brand name. This includes the world’s largest multi-segment trade fairs ISPO Munich, ISPO Beijing, and ISPO Shanghai as well as the international platform for the outdoor industry, OutDoor by ISPO. Further, it includes the online news portal ISPO.com, and the business solutions ISPO Digitize, ISPO Brandnew, ISPO Open Innovation, ISPO Award, ISPO Academy, ISPO Textrends, ISPO Job Market, and ISPO Shop. With its far-reaching mix of innovation promotion, industry networking, know-how, and editorial insights, ISPO works 365 days a year to support companies and sports enthusiasts, and to foster passion for sport worldwide. ATTA: Why is the partnership between ATTA and ISPO a well-aligned partnership? How do the two organizations complement each other? Gröber: Sport and outdoor gear and travel experience are close together. The partnership of the two international networks — the ATTA and ISPO — strengthens this connection and creates synergies between trade working in outdoor gear/apparel companies and adventure travel companies. It also improves joint outreach to the tens of millions of customers served by both industries. With the ISPO network, we provide direct access to the best and most innovative outdoor gear — from startups as well as from established global companies. The ATTA provides the travel experience and access to adventure travelers all over the world. The concentrated competence in experience and know-how builds new relationships, ensures knowledge transfer, and creates the opportunity to initiate new business models and foster innovation. Additionally, both organizations are actively working on sustainability, innovation, education/training, and diversity on a global level. Within the international sports and especially outdoor industries, the key topic and constant mission is to push sustainability within and beyond the industry to support environmental efforts and create a better future. Sustainable business is not a contradiction, but rather a future-oriented and purpose-driven source of energy for both industries. ATTA: What opportunities does this open up for ATTA members? Gröber: All travel industry members of the ATTA have the chance to use our network to deepen their knowledge about the sports and outdoor industry, connect with brands around the world, and explore new business opportunities like lending or renting as well as access to corporate outdoor gear merchandise. 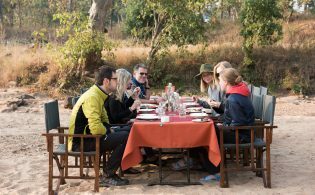 Adventure travel companies can leverage this relationship to buy gear for their staff, for use by their guests and on their trips, and as branded apparel and accessories for merchandise that can be sold or given away. There are also opportunities for fleet and safety gear sales. The quality of gear travel companies provide contributes directly to guests’ enhanced experience and safety. We provide coordinated, structured, and time-efficient access to the world of equipment. For companies, this means saving time and money. ISPO gives access to the most innovative gear startups through ISPO Brandnew. The global ISPO Open Innovation community, with more than 50,000 B2B and B2C contacts in more than 60 countries, offers the chance to co-create or test new products and concepts before they go to market. And we enable stakeholders through the ISPO Academy training platforms in 12 countries around the globe to access education through the online e-Academy. The worldwide ISPO Job Market is the online career center and job platform for newcomers and industry experts. ATTA: How and where can ATTA members best take advantage of these opportunities? OutDoor by ISPO is offering a total of 700 tickets to ATTA members to participate in OutDoor by ISPO in late June 2019. Online tickets are 325 euros, so this is an immediate benefit to ATTA members. ATTA members should email [email protected] to request their free OutDoor by ISPO registration. Gröber: With ISPO.com we have Europe’s biggest news portal that provides information 24 hours a day, 365 days a year about the latest sports and outdoor industry news and trends. Additionally, our ISPO Business Solutions build an ecosystem that provides access to B2B and B2C contacts. 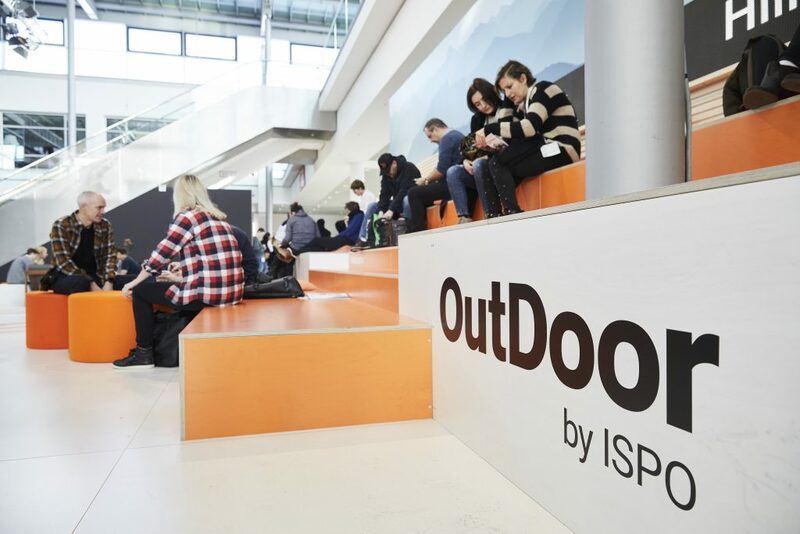 OutDoor by ISPO – The international platform for the outdoor industry (30 June–3 July 2019) where the trade show will have an entire hall dedicated to adventure travel. At this event, private adventure travel companies can establish personal/B2B relationships with European outdoor gear and apparel brands. 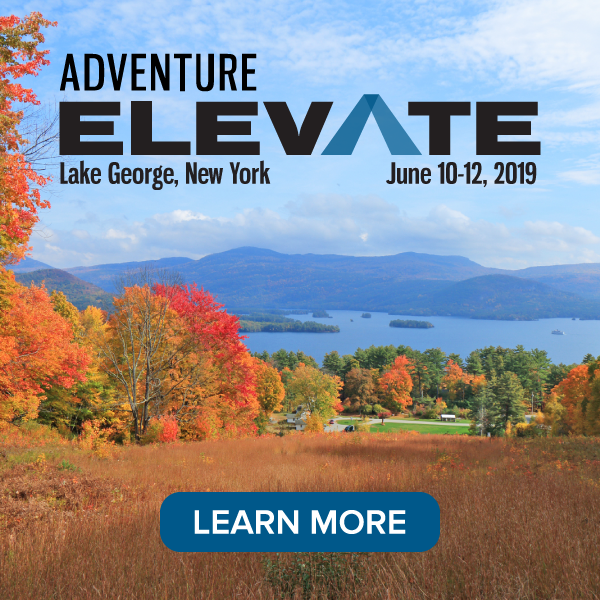 Ultimately, this will help them “gear up” to deliver quality guest experiences with stand-up paddleboarding gear, climbing gear, safari tents, water filtration systems, solar energy solutions, e-bikes, kayaks … the list is endless. For destinations tourism boards, this event is a chance for destination representatives to speak to outdoor gear/apparel brands/manufacturers for possible marketing, sweepstakes, and consumer outreach opportunities, and for discussions about destinations hosting outdoor gear brand photo shoots, filmmaking, MICE market opportunities, using destinations as gear-testing grounds, and more. These are the practical benefits for destinations attending. Also, a destination can sponsor this new adventure hub area during OutDoor by ISPO. ISPO Shanghai – The leading multi-segment trade fair in the sports business in China with a focus on summer sports (5-7 July 2019). ISPO Munich – The world’s largest multi-segment trade fair for the sports business (26-29 January 2020). ISPO Beijing – The leading multi-segment trade fair in the sports business in China with a focus on winter sports (12-15 February 2020). ATTA: What is the best way for industry professionals to stay updated on ISPO-related topics that may be of interest? 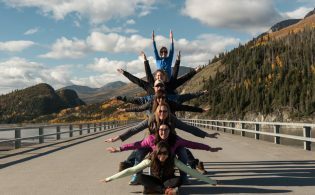 ATTA: What else should ATTA members and adventure travel professionals know about the ATTA-ISPO partnership? Gröber: The partnership is a unique opportunity for everybody involved in the two industries. Together, the ATTA and ISPO can leverage the experience potential for gear manufacturers and adventure travelers alike. There is only one consumer budget and the two industries are competing against bigger industries. Our strategic partnership is the chance to work together to create a new outdoor space for every single person on this planet and accelerate the global evolution together.